Chandler wasn’t the only one who thought it a bad idea. Pollack writes that, even though telephone service is likely to deteriorate, some customers might prefer the lower quality if they can pay less. The idea that competition would lead to both higher quality and lower prices is almost never considered when talking about ending a monopoly. Pollack even writes about how breaking up monopolies is likely to price poor people out of the services. Instead, even households below the poverty line have far better phone service today than they had in 1981. This attitude in favor of government control of the economy wasn’t new. I was surprised, reading A.M. Sperber’s biography of Edward R. Murrow, by the high-ranking officials in the United States government lamenting the inevitable Soviet economic triumph. They could not believe that a free people in a free market could see greater economic growth than a government-planned economy. That attitude persists even today, despite planned economies producing nothing but poverty, misery, and corruption compared to free people freely buying and selling. Nowadays, because we have seen the results it’s hard to imagine phone service as a natural monopoly. In my close circle of friends, I’m not even sure any of us have the same service. I don’t know, and I don’t care. We each of us choose the service that best suits us. There are still people who don’t believe electricity can be de-monopolized despite its success in places like Texas. They see the mess that governments have made of electrical monopolies but can’t imagine it ever getting better. After moving to Texas and paying less for higher quality, I can’t imagine going back to a California-style monopoly. The process of hooking up electricity here was so much easier than any dealings I’d had in California. I handled the entire hookup by a web page, and had it scheduled down to the day I arrived. It worked flawlessly. The evolution of telephone service after the monopoly ended shows that the monopoly completely failed in that purpose. 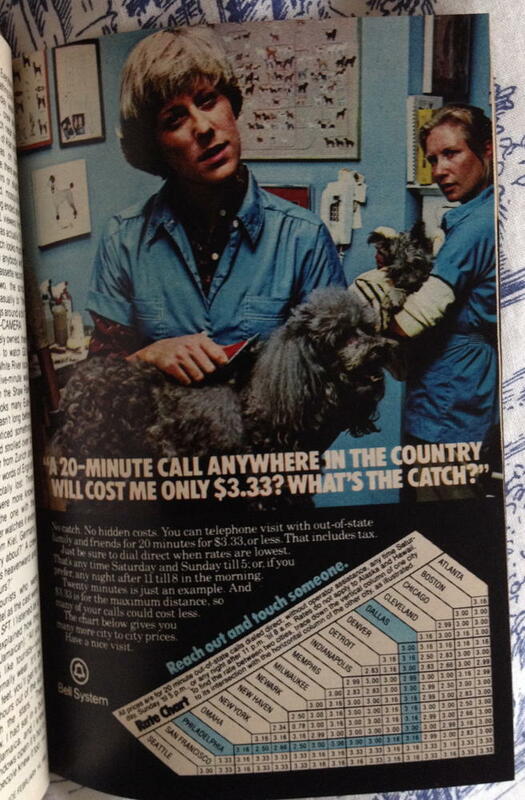 The AT&T monopoly was neither rapid, nor efficient, nor, in retrospect, available at reasonable charges. We simply do not know what we’re missing, and how life could be better, by ending government and government-sponsored monopolies, in power, in cable television, in education, in letter delivery, possibly even in water and roads. I don’t know how such services could be de-monopolized, but I’ve seen enough other “natural monopolies” turn out to have been unnatural cronyism that I’m not going to say it can’t be done. Seven cents a minute, according to their website, if you pay $5 per month for their “One Rate” long distance plan. Again, according to the BLS inflation page, this time going backward from 2016 to 1981. Known for arguing, in The Visible Hand that bureaucratic development drives society forward. Bureau of Labor Statistics inflation calculator. We have no idea what we’re missing by barring competition to the United States Postal Service. We’re in the position we were in 1980 when proponents of government monopolies were warning us of the horrors of ending the AT&T telephone monopoly. Natural monopolies: a 20-minute call for $8.83 last modified August 11th, 2016.